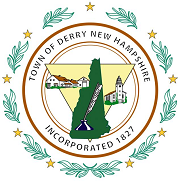 Montpelier, Vermont – The Public Service Department today announced that the next meeting of the Nuclear Decommissioning Citizens Advisory Panel will be held on Thursday November 20, 2014 from 6:00 PM to 9:00 PM, at the Marlboro College Center for Graduate and Professional Studies, 28 Vernon Street, Brattleboro, Vermont. The November 20 meeting will be held in second-floor room 2E at the Marlboro College Graduate Center, which is readily accessible via elevator and stairwell. All meetings of the Nuclear Decommissioning Citizens Advisory Panel are open to the public.